Husli (гуслі; aka гуслі-псалтир; husli-psaltyr). 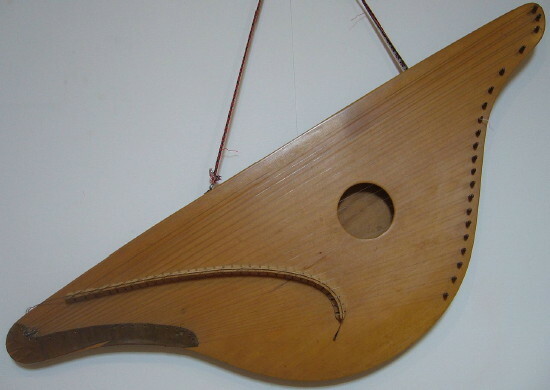 A stringed folk musical instrument very similar to a psaltery, widely known among the Slavic nations since ancient times. In Ukraine during the medieval period it consisted of a shallow, harp-shaped box strung with a variable number of strings. It was held horizontally on the lap and played by plucking the strings with bare fingers. Later, it assumed a trapezial form, and in the 18th century it was enlarged into an instrument resembling a clavichord. It is still used as a folk musical instrument.